Happy 10.10.10 Guys and Gals! Does anyone else find that their weekends pass by at warp speed, but the weeks (more specifically during work hours) drag on and on? Regardless, my weekend was beautiful! Is there anything better than a weekend in Rocktober? I spent Friday evening at girls night with several of my favorite bloggers (I'm hoping one of which is in labor as I type). On Saturday the hubs and I went on a major shopping spree -- okay maybe not major, but we can't afford much. The hubs got a new job (yay) on Friday and needed more shirts and ties. I may have bought myself two new sweater dresses at well straight off the Ross dress or less racks. Today, we went to a football party and had a few beers and ate way to much food. The weekends really ruin my diets! Our weekends are even fuller than this for the next few weeks. I predict a lot of early weeknights in my future. Pssh diet. I need to get back on that. Like, ASAP! 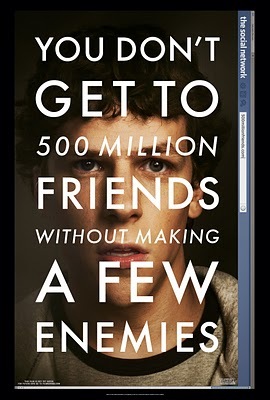 We saw The Social Network too! My husband dated the creator of Facebook's sister for years, so he knows that family well, so it was interesting to get his take on it. Do you not have Columbus Day off? They do go by WAY too fast! For the record... I was not in labor as you were typing that. In fact... Still not in labor. Glad you liked it! I haven't seen the movie yet but I've heard good things :) It's on my "to-see" list!